Art created in community and collaboration, parallels a distinction in Judaism between individual prayer and communal prayer. 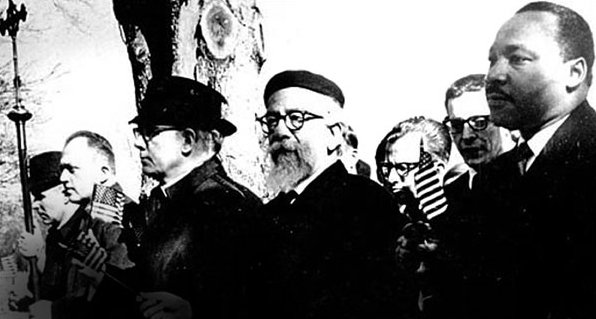 In Jewish tradition, communal prayer requires a minyan. A minimum of ten Jewish adults (traditionally still men) is required to perform certain rituals or recite particular prayers. Going as far back as the shift from temple to synagogue in Babylonia, it was believed wherever ten were assembled either for prayer or study, the Divine Presence dwelt. 1 A Trappist monk at our Lady of Guadalupe Abbey in Lafayette, Oregon, who talked to me about every person’s need to reconcile the desert and the city, unknowingly planted the seed for LIMINAL GROUND. 2 GUILDWORKS MINISTRIES Gimilus Chassidim Fellowship, and the Schlactus family who endows funding for this Fellowship; Lil Copan who named in my art a “resonance, challenge, witness–and refusal to break down into any sort of easy category,” and who introduced me to the Christian based, Abrahamic LOGOS GUILDWORKS MINISTRIES. 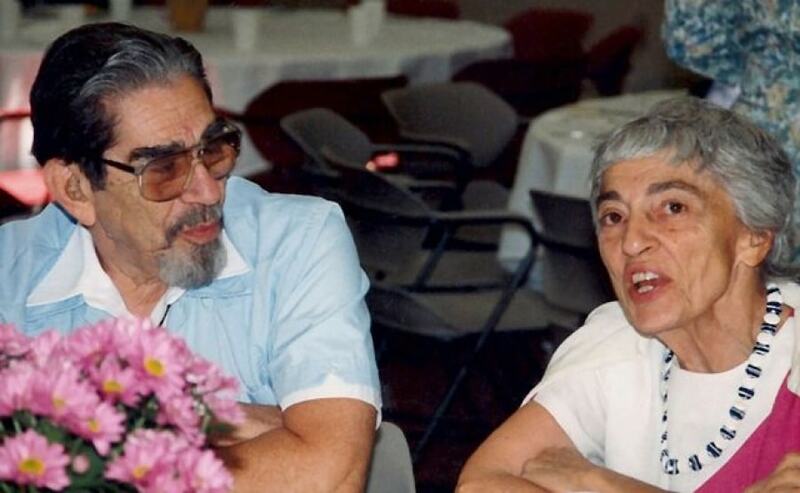 GUILDWORKS founder, Deborah Risa Mrantz with whom conversations on theological arenas in Abrahamic faith helped deepen and widen LIMINAL GROUND. 3 Kit Danley, President of Neighborhood Ministries, whose vision and values allowed for this creative contribution. Jeremy, educational director at Neighborhood ministries, and a buddy I grew up with, whose advocacy and practical collaboration made this project possible. Jorge, the pastor whose practical service and sweet spirit sustained me in exhausting work. Kyle from Phoenix who gave me 30 plus hours of manual work helping with the installation of the show, a day of field research and two half-days of donkey hauling. 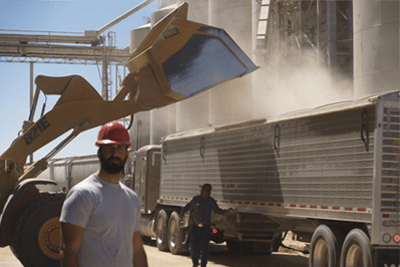 4 Jarod, grain inspector, who provided me with 800 gallons in grain and corn. The on-site contractors who assisted me in the use of excavated materials in the project. 5 Fellow artists and friends Lucien Saxton, Shawn Skabelund, Jessie Reid and Ian Danley who engaged in hours of processing questions that arose for me – between art and religion, material and spiritual, practical and conceptual, personal and social. 6 The Center for Peace and Justice at George Fox University where I serve as the artist practitioner in residence 2011-2012. I wouldn’t have taken on the risks in this project had I not been exposed to the Quaker peace testimony. 7 The participants in both events who risked sharing their stories witnessing to borders and boundaries. And Wayne’s message about living faithfully in the gap. 8 Marco from Phoenix and Nathan and Chris from Christianity Today, all who contribute forms of documentation that give the project “post-show afterlife” (online accessible/living and evolving memory). 9 Johnny and Stephanie at the Hope House who will use the grain and corn responsibly in their efforts at urban farming, helping to sustain these communities. 10 My wife, who’s determined I follow the work where it leads, despite the costs. Those listed above constitute the minyan of LIMINAL GROUND. Having a minyan support the creation and execution of this project has increased my sense of responsibility and privilege of making art that transcends boundaries. 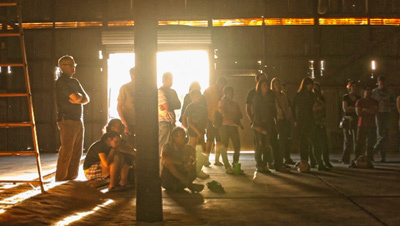 Palm Sunday Service constituted the second event of LIMINAL GROUND and was held in the warehouse/granary. The Neighborhood community had a unique service in the space—in preparing the installation I placed 65 wooden stools as seating, at the northern end of the installation. 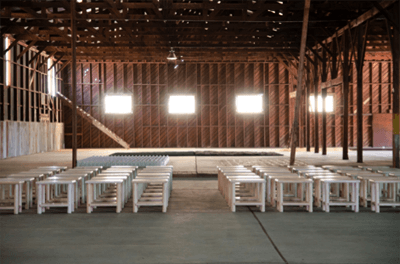 In the space between the stools and the water/corn diptych, I laid out 6 wood pallets that functioned as a platform for speaking and performing music. To the west of the gathering, along the wall of the warehouse are donations for the community’s Mercado (pallets of water, building materials) we’d stacked weeks earlier. I made a simple wall from aluminum sheets and railroad ties that functioned as a visual barrier—a boundary. From an immigration perspective, much of LIMINAL GROUND addresses the social issues of the function and presence of how we live—inside and outside of boundaries. The gathering collected at 10:15 am opening with songs alternating in Spanish and English. Behind the musicians sunlight streamed into the space, entering from a missing panel of fiber glass sheeting. A staircase I excavated from a scrap pile on-site, rests at 45 degrees on a ledge. 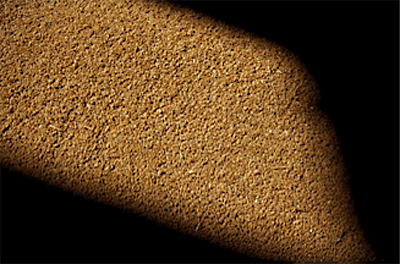 Thirty feet below, in an 18 by 30 foot rectangle lies a carpet of desert durham wheat illumined in an otherwise dark space, by direct sunlight. After a greeting by Jorge (the pastor), I am introduced and offer a few words. I say: “Me llamo es Craig. Yo soy perigrino y artisto. Yo soy buscador de dios en Christo” (my name is Craig. I am a pilgrim and an artist. I am a seeker of God in Christ). Then I give a few words that contextualize the art, and thank the community for allowing me to offer the project. Next Wayne Danley preached about living faithfully in “the gap” that allowed space for several testimonies. The donkey (a symbol of Palm Sunday) interrupted Wayne’s message with loud, undignified bellows. The service closed with communion accompanied by several songs. Before the gathering dispersed, prayer requests and needs were named. Later, at a Mexican restaurant a few blocks away, a man I didn’t recognize who attended the service thanked me and said he wished they could do church here every Sunday. Perhaps he was referring to the fact that the ordinary was made special and that LIMINAL GROUND was a hospitable space for gathering and communal prayer. Later I was asked by a fellow artist at the table what kind of art projects I have planned next. Before biting into my carne-asada burrito, I respond “perhaps a few projects that involve working teeny-tiny in white-walled art galleries would be nice” I say grinning. Biting off an installation in a 26,000 square foot warehouse is a lot, though LIMINAL constitutes a shift in my practice—to engaging the social body. Future projects (big or small) will inevitably be informed by this endeavor. Filmmaker Nathan Clarke is making a documentary short (for Christianity Today) on the LIMINAL GROUND project; when asked to reflect on Sunday’s event a couple days later, I recall sharing two thoughts with him. The first is about the relationship between art and religion. I relay how I experience the sacred in both the desert and the city, in museums and churches. Art historian James Elkins asserts that contemporary art and religion do not mix, but adds, “that it’s irresponsible not to keep trying.” Daniel Siedell contends that contemporary art is uniquely qualified to engage sacred tradition meaningfully. The second event of LIMINAL GROUND, the Palm Sunday gathering crosses a boundary between art and religion and is an honest attempt, by culture-making, at engaging the two. This attempt is not in the sterile realm of aesthetics as a discipline, but in the abject beauty of lived-life in human community in our current history. The second thought I recall sharing with Nathan has to do with the most powerful form of fellowship I keep finding at the Neighborhood Church, which is the fellowship of suffering. “You will have found Christ when you are concerned with other people’s sufferings and not your own” observes Flannery O’Conner. Just as Christ suffers, so the church suffers, is the embedded theology of the Neighborhood Church. This body of people has shown me that to enter into the fellowship of Christ’s suffering is to suffer with others in community. LIMINAL GROUND belongs on the ecotone of both art and religion, and art and social action. My name is Craig. I grew up in and have lived most of my life in Arizona. I went to church at Neighborhood ministries for a couple of years. I am an artist interested in the relationship between the desert and the city, borders and boundaries, agriculture and liturgy. The Liminal Ground site-specific (place-based) installation seeks to tell diverse stories about people and places of belonging. 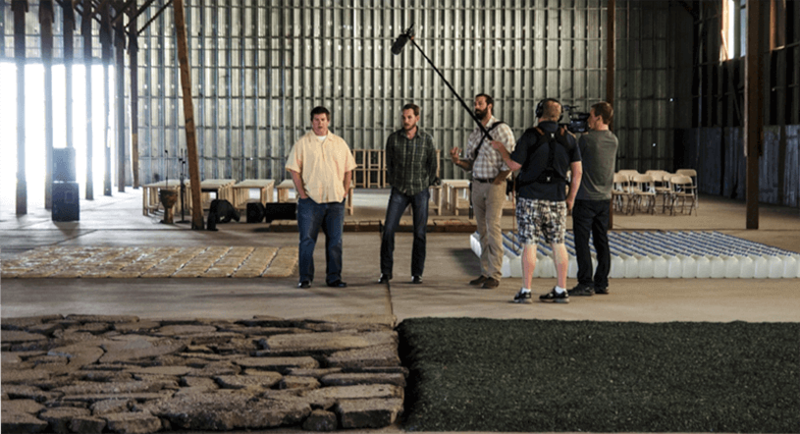 Next I share the story of the site and introduce the materials in the installation. Warehouse/granary (Valley Feed and Seed circa 1920 – 1980) concrete, wood, brick and aluminum, 26,000 square foot. I step off the pallet, and another person steps up. Five stories follow, three from undocumented persons from the neighborhood. A young man shares his story about growing up as a high school football player and working as hard as one needs to work to earn a full ride football Scholarship to a Division One university. After a send off party, he never left home. Because he does not have papers, he was unable to pass the NCAA regulation. Katie grew up in the Neighborhood and now attends college out of state. Part of her story reflected on growing up in the neighborhood church, in the city, in the desert and what community means to her now. Kyle shares the story of his neighborhood friend (many in the audience know him) who has been held at the Eloy Detainment Center for making a poor choice that Kyle’s made a half a dozen times without consequence. Marcos, a preschool teacher in the neighborhood offered a poem of his own dealing with hybrid identity. He also shares a translation of Langston Hughes’ poem, A Dream Deferred, making connections to the Dream Act. 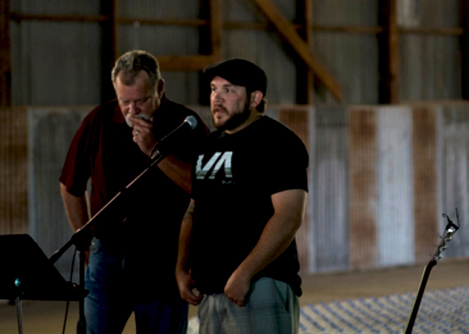 A father and son share their story last. The father spoke in Spanish, his son translates the narrative into English. The story involved being picked up for not having papers on a routine trip to the dump. Neighborhood Ministries rallied and got a lawyer. 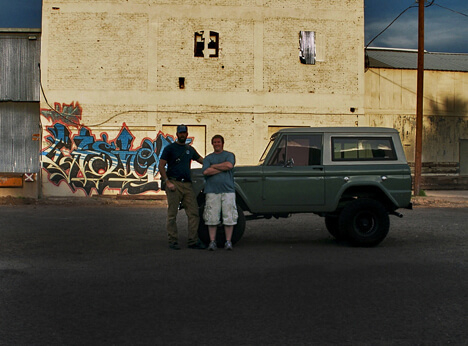 My friend Ian drove the father home on Christmas Eve from jail. Unfortunately, the situation is not fully resolved. March 31st is sometimes kept as Cesár Chávez day. Story-telling closed with our being led through this call-and-response prayer (below) written by Chávez. The prayer echoes St. Francis and is sometimes titled the United Farm Workers prayer. Language, and the materials described above comprise the elements that sculpted, and inhabit the space. 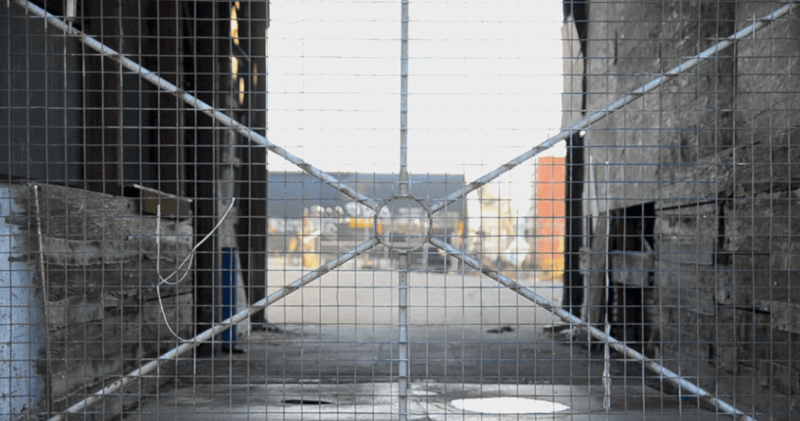 It is in part, the interrelationship between the installation and the spoken testimonies – the gaps and overlaps, an acoustic resonance that grows the innately expansive (theological) meaning of LIMINAL GROUND. Some of the gaps are the space between English and Spanish, agriculture and liturgy, art and activism. In terms of overlaps, hearing the testimonies in the installation space seems to affect how people heard/responded to the stories. 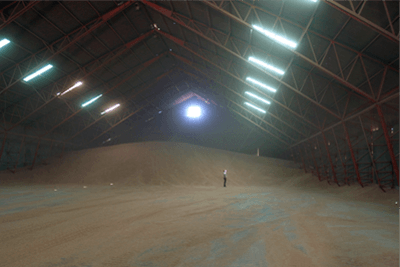 For example, one woman told me what struck her during the story-telling was that these stories were being uttered in a space with a multitude of disposable material–grain, corn, water, architectural elements. She connected this to just how many more stories, like the ones shared that evening, could be collected and how they are being disposed of today. My intention in pairing the installation and the spoken testimonies is to give the stories personal and communal dignity, to make them special by contextualizing them in that space, on that ground with its specific, multi-cultural and multi-faith histories. 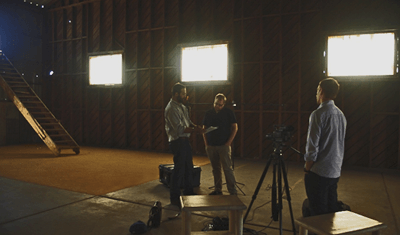 Several days later–documenting the project for Christianity TodayFilmmaker Nathan Clarke asked me to reflect on the evening. I recall telling him I think the event is congruent with my intention: to create a space that could begin to tell the story of borders and boundaries in this enclave of the Southwest. Or, stated another way, to construct an immigration narrative that could at once clarify, complicate and deepen the questions. A couple of weeks before I went to Phoenix, Kit Danley (president of Neighborhood Ministries) shared a rich metaphor about the site. In 1950, on the outskirts of Phoenix, a huge grain silo was built to serve the agricultural needs of the community. Kit writes that the structure was used to store seed; some for feed and some for planting. 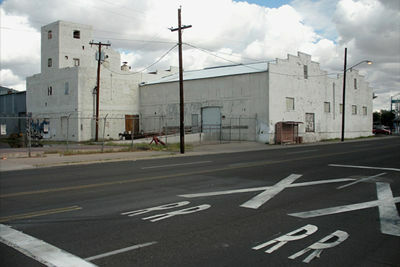 As the years have gone by, the modern city of Phoenix has grown up around this old building, which now finds itself in the heart of the inner-city. The silo and warehouses are no longer in use and evidence signs of decay. 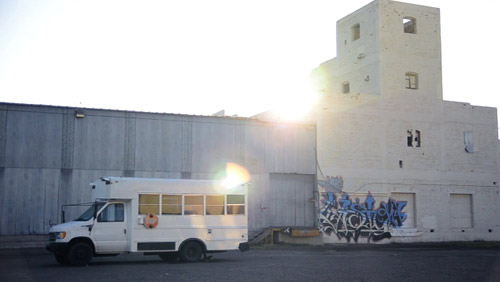 The old silo and adjoining structures that sit on the property now belong to Neighborhood Ministries, an important outreach to the youth and families of inner-city Phoenix. They have plans to renovate and remodel the granary and adjoining structures along with the surrounding property into an oasis in urban Phoenix. What was once intended to store seed that would nourish the physical body of the city, will soon store seed that will nourish the spirit and social body of Phoenix. The old silo warehouse that sits in the middle of the south end of the campus is presently being rehabilitated. 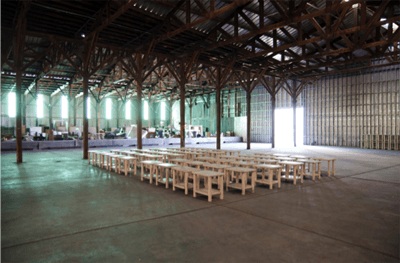 “This adaptive reuse is taking a building that was once part of a booming feed and seed business and bringing it back to life with a new kind of feeding and seeding – this time for children, youth and families,” Danley writes. 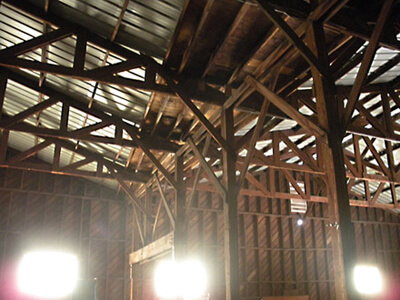 In the weeks prior to installing LIMINAL GROUND, excavation of the site had begun – contractors had torn up asphalt, removed steel rails, begun digging out the bottom level of the granary and demolished the wooden structure. 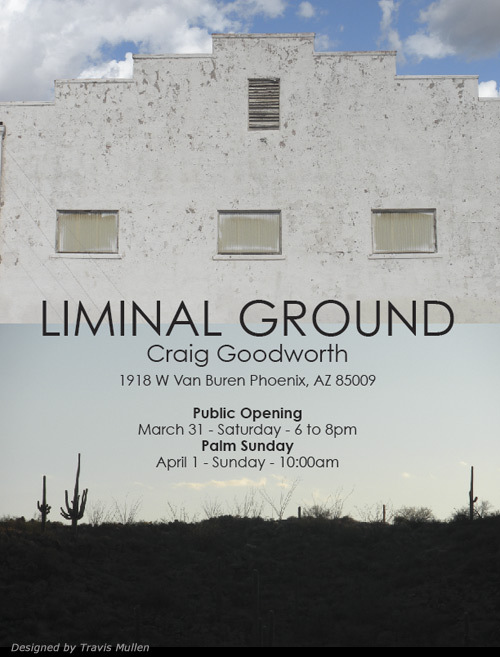 It was in this in-between time of transition I arrived in Phoenix and began preparations for the installation and the two events of LIMINAL GROUND. Looking at this larger story of the site, the LIMINAL GROUND installation intersected with this metaphor of feeding and seeding, interacting with the excavation process. 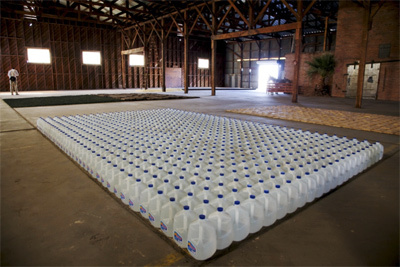 Similar to the life-cycle of the grain, the physical content of LIMINAL GROUND was offered through two events in the warehouse where the meaning of the art will be grown over time. This meaning is cultivated through the documentation – this blog, images, presentations and the short documentary (forthcoming from Christianity Today). There is danger in a single story, or single-lens master narratives. Such narratives have historically subjugated, dispossessed and disenfranchised people considered to be Other, inferior and foreign. One of the functions of the single story is to sedate us to cultural diversity and nuance. Single stories disable our ability to dialogue through individual difference. I am interested in how installation art, with multi-dimensions, can disempower and deconstruct the demons of a single story. Part of what contributes to the richness personally of being a Gimilus Chassidim Fellow is working in the Jewish roots of this Fellowship-allowing Jewish concepts and ideas to relate to and inform my process and project. The below series of notes evidence some of what I’ve recently been exposed to. The concept of Jewish wisdom values learning and knowledge as more than the sum of its parts. This paradigm intentionally disempowers the single story, or master narratives, from arising, willingly or inadvertently. Don Yitzhak Abravanel, a 15th-century Spanish rabbinic commentator, discusses another benefit of havruta study. Abravanel interprets the saying “Make for yourself a rabbi and acquire for yourself a friend” (Mishnah Avot1:6) as meaning that one should learn both with a teacher and with another student. He explains that everyone has doubts at times or is confused regarding how to interpret the text. However, sometimes one is embarrassed to bring his questions to his rabbi. At these times, one can bring these questions to another student. Another student can clarify and sharpen one’s understanding of the text and can provide a different valuable perspective on that text. Despite these early references to study in pairs, Shaul Stampfer, a contemporary Israeli historian, argues that study in havruta was not the prevailing mode of learning until the beginning of the last century. Even in the great 19th century yeshivot (Jewish academies of higher learning) of Eastern Europe, havruta was only one among many possible modes of study. These yeshivot sought to create a scholarly elite who would not need a havruta in order to understand the text. They saw havruta as only a means of helping weaker students who could not keep up with the class. A few years ago, I visited Mexico from the U.S. The political climate in the U.S. at the time was tense, and there were debates going on about immigration. And, as often happens in America, immigration became synonymous with Mexicans. There were endless stories of Mexicans as people who were fleecing the healthcare system, sneaking across the border, being arrested at the border, that sort of thing. I remember walking around on my first day in Guadalajara, watching the people going to work, rolling up tortillas in the marketplace, smoking, laughing. I remember first feeling slight surprise. And then I was overwhelmed with shame. I realized that I had been so immersed in the media coverage of Mexicans that they had become one thing in my mind, the abject immigrant. I had bought into the single story of Mexicans and I could not have been more ashamed of myself. So that is how to create a single story, show a people as one thing, as only one thing, over and over again, and that is what they become. It is impossible to talk about the single story without talking about power. There is a an Igbo word I think about whenever I think about power structures of the world, and it is “nkali.” It’s a noun that loosely translates to “to be greater than another.” Like our economic and political worlds, stories too are defined by the principle of nkali: How they are told, who tells them, when they’re told, how many stories are told, are really dependent on power. My intention in LIMINAL GROUND is to avoid the danger of telling only a single story. My story is constructed through the history of the site, agricultural elements, liturgical elements, and two very different, but related events in the installation space: a public opening and the Palm Sunday Service. The following series of events connect LIMINAL GROUND to the liturgical calendar and to agricultural seasons, and suggest possible interrelationships between the sacramental substances of cornmeal (Navajo), palm fronds (Palm Sunday) and ash (Ash Wednesday). – After speaking with the pastoral team of Neighborhood Ministries a couple of weeks ago, I recently received confirmation that they wish to have a Palm Sunday service in the warehouse granary space the morning after the public opening on Saturday March 31st. This fits contextually as it is congruent with how I am thinking about LIMINAL GROUND in relation to community and place. – A staff person at Neighborhood Ministries is going to ask a couple of guys in the church who do landscaping to set aside the Palm fronds they cut. When I get to Phoenix, I hope to have a significant pile of fronds I can explore integrating with other elements of the installation for the Palm Sunday event in the warehouse/granary. – Palm Sunday marks the beginning of Holy Week and celebrates Christ’s re-entrance into Jerusalem (Matthew 21:1-9), where palm branches were placed in His path. The palm branches marked a path, or a line, not unlike the horizontal cornmeal line in my installation. Palm Sunday is a threshold (LIMINAL means threshold). Christ’s entry into Jerusalem was crossing a boundary-spiritually, physically, geo-politically, prophetically. Liturgically, Palm Sunday marks the final week of the desert of Lent. As I write this, the Lenten season begins. – Here in the wet garden of Oregon it is pruning season. I just finished pruning the dozen or so apple trees on the property where we live. On my way into town I drive by orchards, some as big as 50 – 100 acres with piles of smoldering ash as big as a pick up truck. They are burning the limbs and shoots they’ve pruned. 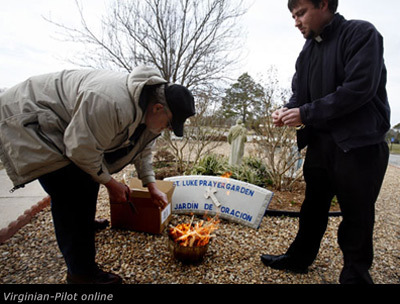 – I researched the Distribution of Ashes: “During Mass, the ashes, which give Ash Wednesday its name, are distributed. 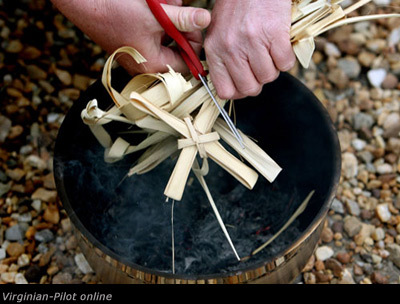 The ashes are made by burning the blessed palms that were distributed the previous year on Palm Sunday; many churches ask their parishioners to return any palms that they took home so that they can be burned.” Since the palms used during Church services have been consecrated, they should not simply be discarded; rather, parishioners who have taken palm fronds return the palm branches to their local parish in the weeks before Lent, to be burned and used as the ashes for Ash Wednesday (http://catholicism.about.com). – I’ve given considerable thought to how I might also introduce ash into the project. I spent the better part of a day figuring out where I could find 300- 400 gallons of ash in Phoenix. I talked to a neighbor with an orchard about using his pile. I’ve been vacillating for 2 weeks about hauling it from Oregon to Phoenix to have available for use in the installation. – I find the way I am approaching this installation is influenced by critic/historian Daniel Siedell whom I’ve consulted with on a previous interdisciplinary project. The context of the warehouse granary is a constitutive part of the artistic meaning of LIMINAL GROUND and something I wish to maintain. In other words, the location where the art is experienced gives meaning to the materials. I wish for the meaning and significance of LIMINAL GROUND to be intentionally layered and complex, expansive rather than restrictive. I want to invite the viewer into a contemplative relationship with the materials in the installation. I’m intending to create an aesthetic environment, in which all the potential materials, such as cornmeal, grain, palm fronds, ash and ladders, fit together in interrelationship with one another. Describing LIMINAL GROUND to an artist curator friend of mine a couple of weeks ago, I mentioned that I was at once excited and yet uneasy at the thought of biting off more than I could chew (this is the first time my art practice has extended explicitly into the social body). I knew a gal in art school who exhibited some arguably obvious materials (contraceptives) in a highly visible social context and wasn’t prepared for the public backlash. In fact, it got so bad that as far as I know she isn’t continuing in her art practice today. One of my professors told her story often and cautioned us about the risks involved in not being ready and fully prepared to follow one’s work into the world. While I feel ready to engage in this project, saying more than I can responsibly say, reacting to a question thrust in my face and speaking too quickly, or not simply saying, I don’t know, when I don’t know, are some of my challenges as I get deeper into this project. A project like LIMINAL GROUND has, I think, the potential to get complicated very quickly. One of the reasons it is complicated for me personally is that I am determined not to tell a singular story, rather, I want to integrate multiple narratives through the site, the materials, the language, and the multicultural audience. In ecology the boundary or transition between distinct environments is referred to as an ecotone. These boundaries are sometimes clear, other times harder to discern. The landscape of LIMINAL GROUND is made up of various ecotones. One ecotone is the space between the interreligious Abrahamic faith traditions represented by the Schlactus Gimilus Chassidim (Deeds of Mercy and Lovingkindess) Fellowship and the GUILDWORKS iABRAHAM homeless outreach ministry. Another ecotone is the folks at Neighborhood Ministries in Phoenix living with, and doing theology from the perspective of the poor. There is my affiliation with the Center for Peace and Justice at George Fox University, the general public, the diverse people of Phoenix-all of whom I wish to engage. These ecotones, spaces between communities, are where this project functions. The social context for this artwork is an intersecting ground of ethnographic convergences/divergences. I understand LIMINAL GROUND as its own kind of ecotone – a new landscape for me that is not so easy or obvious to navigate. In my process, I find myself returning often to the various explorations of the body in my art practice (human body, body of animal, body of earth) I’ve previously undertaken. Those bodies of artwork serve as a map, revealing the ground I’ve covered to arrive at the social body. The above images relate to the video introducing LIMINAL GROUND when I talk about the importance of the idea/experience of the body in my practice. 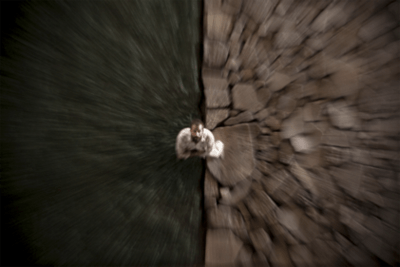 The images reveal a shift in my practice from one kind of body to another. From body of animal and body of earth, to body of building and social body. From rural to urban, desert to city. 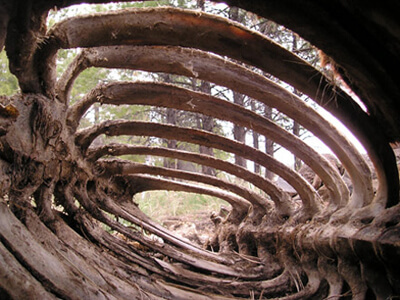 The relationship between the organic and the organizational, decay and transformation. What are other historical uses of cornmeal and symbolic meanings particular to the Southwest region? How to carefully make use of the historical context for cornmeal and its form as a line? Pertaining to the first question, I have found that in Navajo culture, corn is the primary sacramental substance. It is used in various ceremonies from hunting to purification rituals. Additionally I am curious about the present day politics of corn and will be investigating this further. Regarding the second question, I am reflecting on additional meanings, symbolic and real, the cornmeal line may have in LIMINAL GROUND. How do these meanings compare with historical perspectives? The primary indigenous staple food of the Southwest is corn. By reintroducing cornmeal in the granary space, I am acknowledging and honoring not only the history of the site by but also witnessing to an indigenous native food existing both sides of the US Mexico present day border. Symbolically this gets at commonality and shared humanity. By using a cornmeal line in the art installation I don’t want to simplistically assert that lines are bad. The “social body” is made up of lines that contain, hold, shape, conserve and sustain identity and belonging. Structures are necessary. My two dominant questions are: 1) how to navigate the social/historical meanings of a cornmeal line? 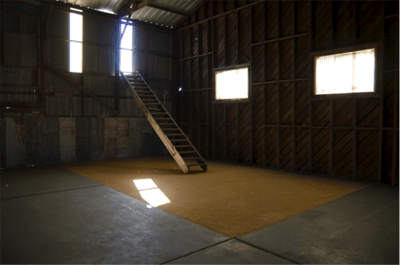 2) How is the body of the viewer in the granary going to navigate the cornmeal line as an element of my art installation? By placing a cornmeal line on the floor in the viewer’s path, it would pose the question of whether or not to cross a threshold. Sadly, history tells us we colonize the colonized. No matter who we are, we transgress. In the cultural collision of the Southwest, our present issues with immigration are bringing cultures into conflict. Therefore, I want the body of the viewer in the warehouse space to confront a cornmeal line. I submitted my proposal for LIMINAL GROUND several months ago. Just recently, I was watched Ken Burns’ documentary The West. The first episode describes Coronado’s expedition North in search of the seven cities of gold. After four months of travel, the worn out expedition arrived at the adobe settlement of Hawikku, (a Zuni pueblo in New Mexico). The Zuni people saw the expedition approaching riding on monstrous animals (horses) they had never seen before. Coronado’s men arrived in the midst of a summer solstice ritual regarded as private. According to anthropologist Alfonso Oritz, as Coronado’s men approached, the Zuni elders drew a cornmeal line that was not to be crossed. Coronado and his men, who were thirsty and starving to death, crossed the threshold. The Zunis fought back though eventually had to flee from the Spanish guns. 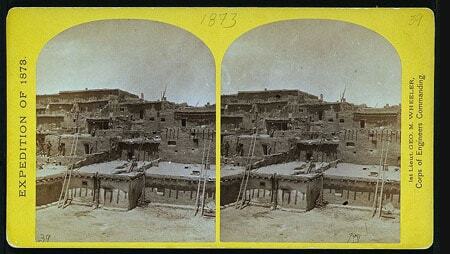 Coronado soon overtook the city and demanded the Zuni people convert to Christianity. He soon discovered they had no gold. This historical precedence of a cornmeal line struck me as interesting and important as it relates to my proposal. 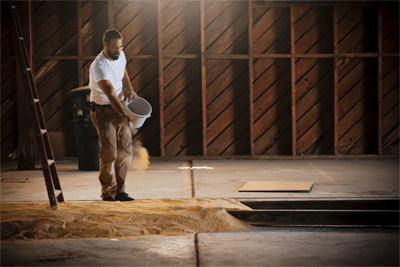 In my proposal, I conceived of a cornmeal line 50 feet long by 16 feet in my site-specific installation in the granary warehouse space in Phoenix. Sixteen feet, because the wall separating Mexico from Arizona is 16 feet in height and cornmeal because of the particular history of the building as a granary. The story above complicates things. By using this form of a cornmeal line in my project, I am not referring literally to the story above. However, the history of corn in the Southwest is interesting to me and investigating this could add to the richness of the project. Minhag (MIN-hahg): A custom that evolved for worthy religious reasons and has continued long enough to become a binding religious practice. The word is also used more loosely to describe any customary religious practice accepted as status quo within the Jewish tradition. The interfaith/interreligious fellowship supporting my project LIMINAL GROUND is the Gimilus Chassidim Fellowship. 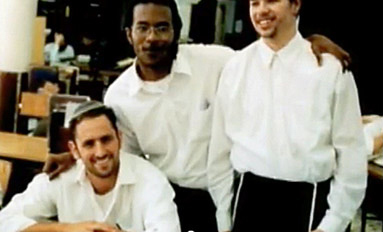 Based in traditional Jewish values, deeds of Mercy and Lovingkindness, the Gimilus Chassidim has a Minhagic approach. Minhag grows out of a tradition concerned less with fixed rubrics and doctrinal absolutes, than with customs and traditions handed down from generation to generation. These customs, traditions, and rituals are made relevant by being lived out in Jewish communal life. Where Halacha is prescribed law, written and codified, Minhag, observes Diane Schlactus, is more about a customary practice or set of practices becoming binding and taking on the force of law (e.g. we do it that way because that’s the way it’s always been done or is accepted as being done). As my art seeks to draw from ancient sources, I appreciate Minhag calling on the wisdom of the ages. Minhag, as I understand it, is about practice cohering in Jewish values. The meaning is in the doing. It is not an easy spirituality motivated by the marketplace, or individualistic and autonomous desire. Minhag is not the conclusions of a solitary individual, but the fruit of participating in a collaborative process over time. For several years now I’ve been talking to a retired religious studies professor about what he terms “tough spirituality.” Dr. Wentz claims spirituality has become a soft and easy enterprise because it is divorced from tradition, and because it exists in a marketplace of competing and abstracted ideas and practices. I’ve wondered if this is also true of art. Over the years, our conversations have often turned to harder and more rigorous paths – the marathon trails of Mt. Hiei, the pilgrimage routes of Shikku in Japan, the ascent of Mount Athos in Greece and the art practices of Marina Abramavic and Wolfgang Laib. These paths are forms of ritual, he explained, a way of learning and doing, the meaning of which is in the performing, rather than in an inward, individual experience. Dr. Wentz wrote of ritual as “an enactment of meaning and as an action of a body, whether individual or corporal, involving movement and the use of certain paraphernalia.” The meaning of ritual, he’s insisted, is self-contained. This means that ritual need not submit to a demand for conscious intention or interpretation. The meaning is in the doing. Over the last decade, my art making has become increasingly ritualized. My studio practice is something I just do. I generate art without having to know the end result. Reflecting on ritual has proven especially helpful to me in contextualizing a recent series of performance-based artworks I made in the deserts of Arizona and New Mexico.